Health, wellness and fitness have always been an important part of my adult life. In high school I danced and played volleyball and have led a fairly active lifestyle since then. Throughout my college years I took various fitness classes and even taught some step aerobics classes here and there…I feel like I’m really dating myself here! I also developed a love for running during this time and prior to having kids, trained and proudly finished two marathons. 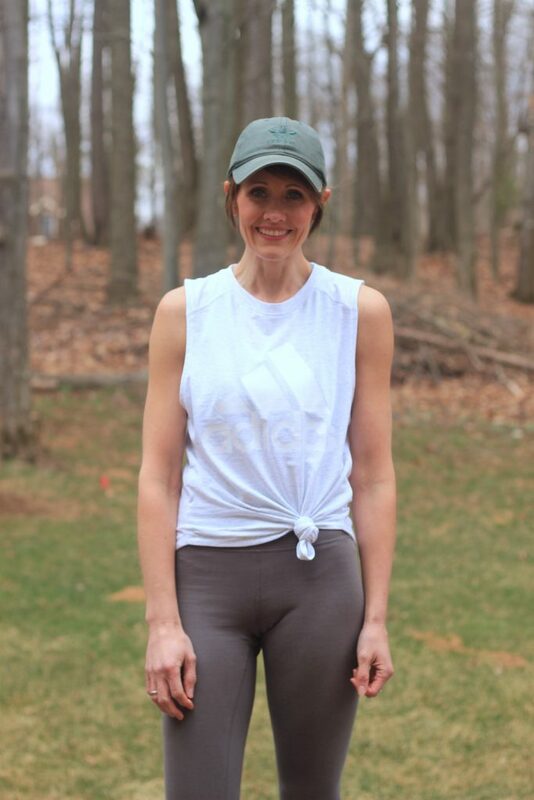 In my current stage of life, I continue to run (though not nearly as far) and I also include strength and interval training into my regular routine. 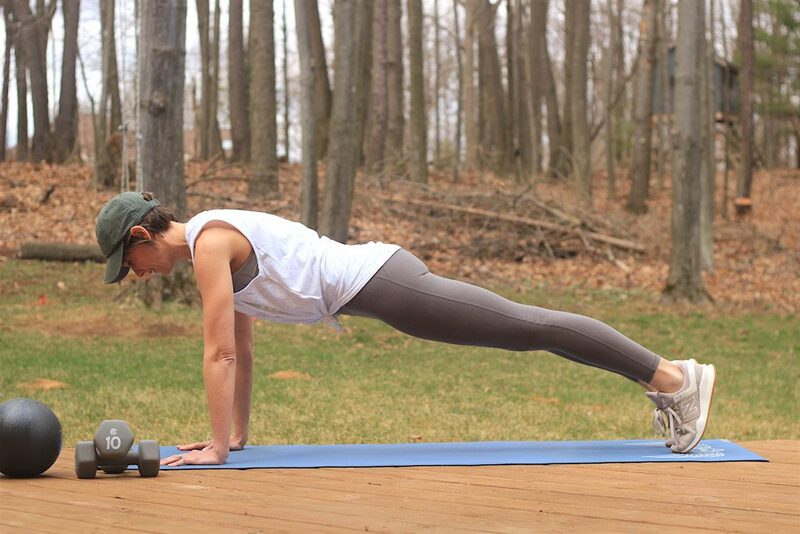 I have a local studio that I adore and attend as I’m able (PYP) but otherwise I tackle my workouts at home. For the past year I was using the Sweat App which gave me structured workouts focusing on arms, legs and abs. I’ve enjoyed using that app and feel it is a great way to keep you on track and give you some motivation. When it came to nutrition, I like to say that as a family we have always eaten ‘healthy’. I throw that word in quotes because in all honesty, who knows what healthy is these days? Some say eat low fat, others eat all the fat, some say you shouldn’t eat meat, others solely rely on meat, and heaven forbid we mention carbs!! For the most part, we ate fresh foods in somewhat balanced meals, but I never felt that I had a good understanding as to the best way to nourish myself and my family. I would think in my head ‘Ok, today, I’m going to be 100% healthy’, and to me, that meant, don’t eat any cookies or junk food and avoid the bag of pretzels. I would hold strong for a few days, not feeling much of any change in my body internally or externally and then cave at 9pm on the couch with a bag of sourdough pretzels. It wasn’t my appearance that I was looking to change. I knew I was a healthy weight, but I also knew that I didn’t feel great. Every single day around 3pm I’d hit a wall and that’s terrible timing when you have kids getting off the bus shortly after. Even on days when I was able to lay down for a quick 20 mins, I’d feel even worse afterwards. I was grumpy towards my kids and felt as though I was in a haze all through dinner and beyond. 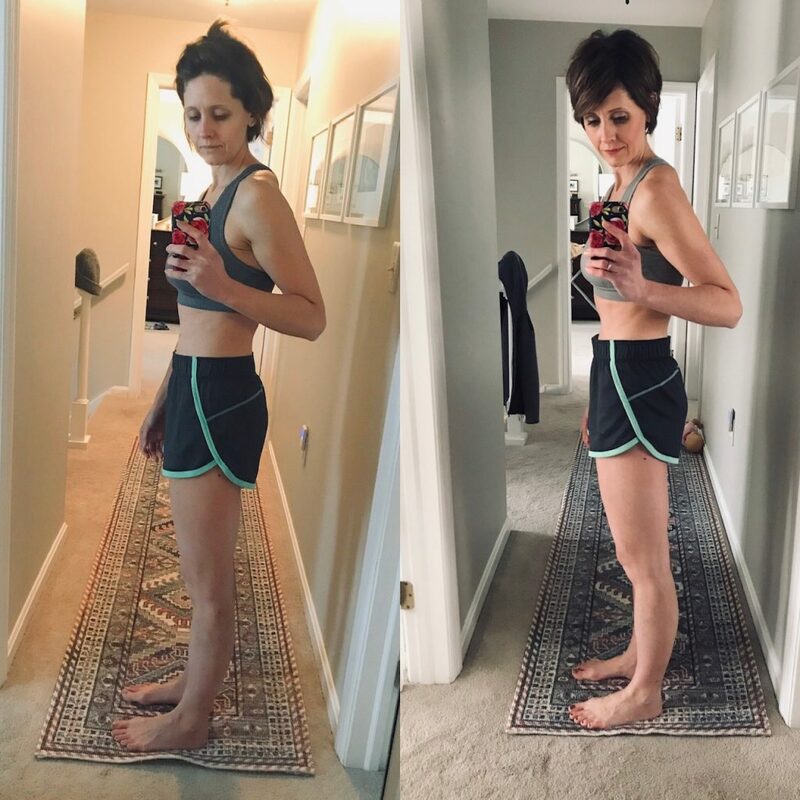 I had watched a handful of women going through the Faster Way To Fat Loss program, and I saw dramatic results unfold for them. I saw them transform theirs lives and yet I continued to hold off because, well, I’m not really sure why? Maybe because I wasn’t trying to lose fat? Or maybe because I wasn’t convinced it was what I really needed? Then my best friend gave it a try. 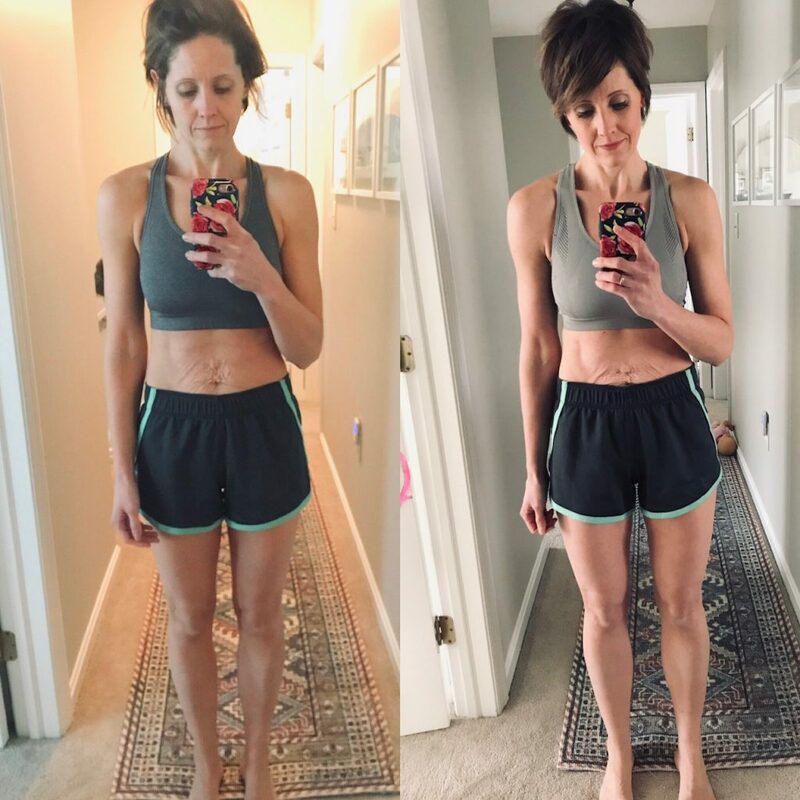 Hearing from her first hand how quickly her body felt good and wasn’t bloated and had more energy was the final kick in the pants that I needed. I signed up for the February 11th round and haven’t looked back. I have learned so much about this program in the past 7 weeks that I never could have learned simply watching on the sidelines while others went through transformations of their own. The program is not built as some quick weight-loss program. It is a maintainable lifestyle that teaches you how to fuel your body with a mix of the appropriate macros (guys, I had zero clue what a macro was when I started this), paired with intermittent fasting and carb cycling to turn your body into a fat burner (not weight loser). I won’t lie, I was a regular breakfast eater and with the FWTFL, you won’t break your daily fast until around 11am or 12pm. The struggle was real for the first two weeks. I’d be counting down the minutes until I could dive in. But then your body adjusts. You actually find you have more energy and good things happen when your body isn’t constantly busy digesting your food. I also found that on many days, I wasn’t consuming enough food. And I’m not a girl that picks at a little food here and there. No, I like to eat. What I wasn’t eating enough of were whole, healthy foods. Tracking food was another new venture for me. Never before had I tracked my food. I was also the most haphazard eater you’d ever met! Outside of our dinners, I rarely gave thought to what I’d eat throughout the day. And all that led to was grabbing foods that typically weren’t the healthiest of choices. What I thought was going to be the most cumbersome of tasks has turned into one of my favorite parts of the program. I now get excited for the foods I plan out during my day and enjoy my meals so much more! The final piece of the puzzle are the workouts. I’ve heard of many women who use this program solely for the nutrition aspect and have amazing results. Nutrition is the foundation and if you are able to implement the workouts as well, then all the better. On the same note, if you are already leading an active lifestyle and have a fitness routine of your own, then you can certainly work the program around that. Everyone gets assigned a coach and an accountability group which are fantastic resources. Your coaches are there to encourage, offer advice and help answer any and all questions you have along the way. They’ll help you tweak and personalize the program in order for you to see the best possible results. So, how did this program work for me? Well, first off, I no longer need naps! My body feels better than it has in a long time (probably ever) and it’s the first time I actually feel like I have an understanding to how I should be eating. Weighing yourself is not encouraged with the FWTFL because that’s not the best measurement of your progress, but what they do encourage is measuring yourself before and after. At the end of my first round, I did get on the scale and found I lost three pounds. Now, if I felt as good as I do and based my progress on three pounds, I would be highly discouraged. I did however lose two inches off of my waist and an inch off of my thighs. All while working out comparably to how I had been before and eating more food on any given day. These changes may not be dramatic to anyone else other than me, but to see the way my body has shifted and is stronger and leaner in just a few short weeks makes me want to kick myself for all those months I sat without taking action of my own. Throughout this process, I had some people say to me, ‘Ok, you’re not trying to lose weight, but I need to. Is this the right program for me?’ 100% yes!! Don’t get me wrong, if you have a healthy amount of weight to lose, you will burn fat on the FWTFL, without a doubt. But the focus will be on burning fat, not just losing weight. I’ve been in communication with a number of people also going through the program, and I have yet to hear from anyone that they did not have positive results. It truly is a lifestyle switch and one that I am so thankful I decided to make not only for myself, but for my children and husband as well. With much of the focus revolving around food for this program, I wanted to round-up some of the foods that have become my go-to’s thus far on the program. I love following others involved with the FWTFL because I’m constantly inspired by new recipes or snacks etc. Food can be fun and not a burden! Scroll down to see some of our favorites. The next round starts April 8th, which is SO soon!! Just enough time to have you feeling great before the warmer months get here. You can register via my referral link here. I’ll be jumping into their VIP group which anyone who has completed at least one round has the option to do. I’m excited to see what all that has in store, but I’ll be sure to keep you posted! **The FWTFL does encourage a gluten and dairy free diet. Knowing that I do not have any related allergies, I ate them in moderation and still had great results. Tuna and mayo (or greek yogurt) with spinach and Everything But the Bagel seasoning on a brown rice wrap.